Dr Russell Brent Jackson, DO (San Antonio) - Book Appointment Online! 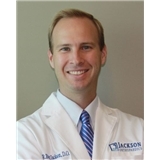 Dr. Jackson specializes in the treatment of all conditions of the upper extremity, indlucing fingers, hand, wrist, elbow, shoulder, and collar bone. He is not currently accepting new patients for lower extremity, hip, or spine.